Donna was one of the artists-in-residence at the New Harmony Clay Project. During her time in New Harmony, she explored her vision of balanced beauty. Using her vocabulary of sculptural porcelain forms, she examined exquisite ornamental layering, seeking a delicate harmony between functional and decorative. How many years have you been working as a clay artist? Since 1970. What is your main clay body that you currently use? Usually low fire white-ware for large works and cone 6 porcelain for teapots. What is the primary method you use for building your work? I mainly build with slabs to start, but I use every technique, including throwing and slip casting. Do you have any future clay wishes or dreams? To keep traveling the world, making teapots and sculpture. It doesn't get any better than that. Home life and work life. These phrases are my metaphors for life. 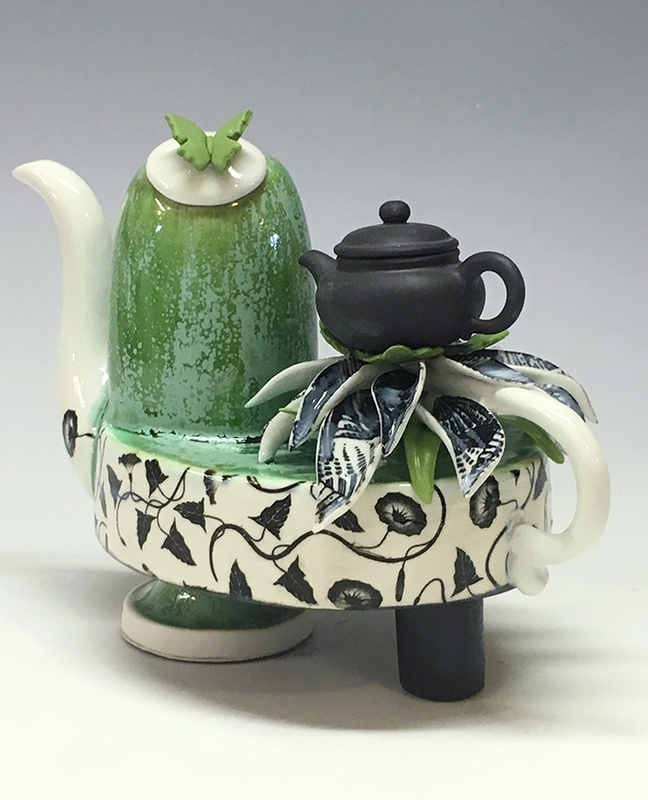 I live in a world between the potter and the sculptor, working to preserve a “balance.” My work is composed of bowls and teapots–open and closed vessels, that maintain a technical utilitarian nature hovering between something useful and something too intricate. I am passionate about working with porcelain, especially the challenges and problem solving it poses. I start my work with a functional form, and I hand build ornamentation that intrigues me until I find an overall balance that pleases me. Clay is a thread that unites us all. Most cultures have a ceramic tradition, and it’s this universality of ceramics that attracts me to working in clay. I love traveling and adventure, and because clay people are a global community, I tend to find “home” wherever I go. 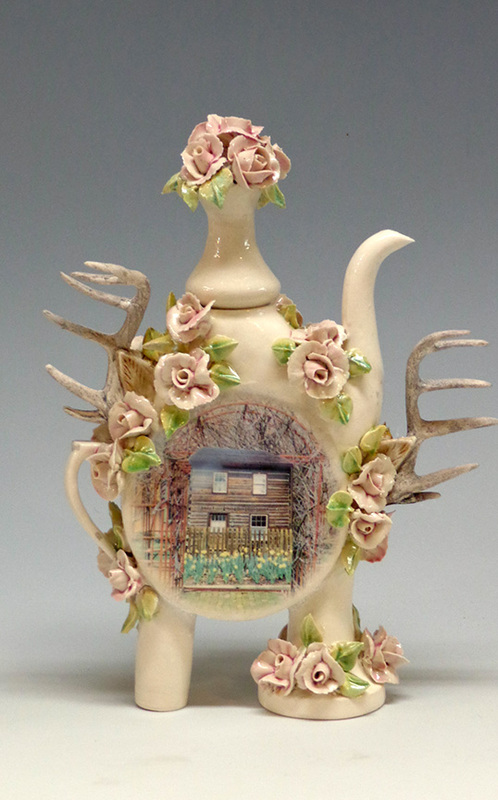 Donna Causland is a ceramic artist living in Silverthorne, Colorado. Residing at 9000 feet above sea level, she is surrounded by the beauty and wildflowers that inspire her work. Donna graduated from the University of Cincinnati in 1977 with a BFA in Ceramics, and since then, she has lived all over the US from Seattle, WA to Dunedin, FL cultivating her ceramic knowledge from workshops and other clay artists. Donna is currently a resident artist for the New Harmony Clay Project in New Harmony, Indiana, and recently completed a two-month residency with The Pottery Workshop in Jingdezhen, China. She exhibits her work annually at the Vail Farmer's Market & Art Show and the Aspen Saturday Market every weekend from mid-June to October. To see more of Donna’s work, visit her website link above.